I recall saying cotton-easter, until a genuine gardener put me straight. 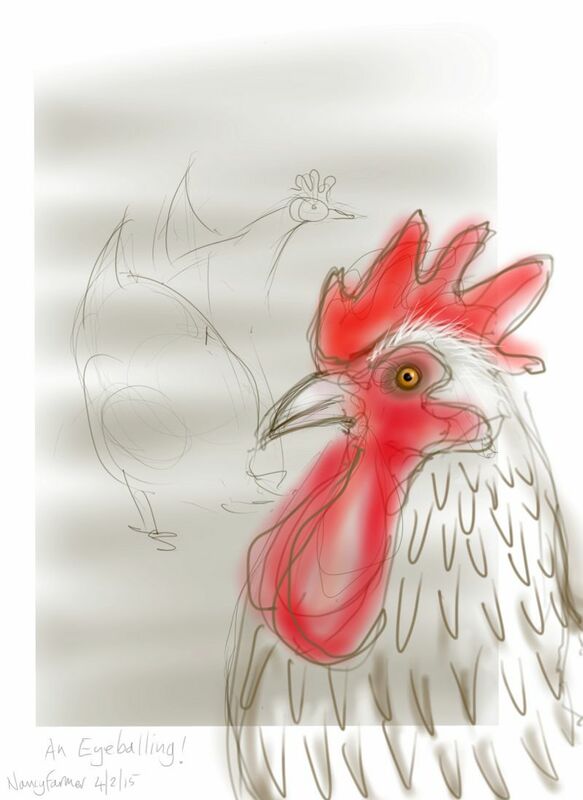 Roosters scare heck out of me. And Roosters… yes, well, this one’s fairly docile so far, the last one we had I don’t think I’d just have sat there while he got so close! though the one before that you could’ve picked up and carried around.